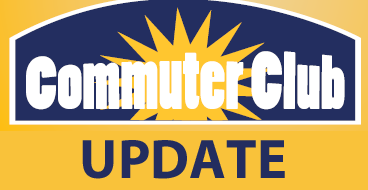 Though the monthly Commuter Club meeting, held on Tuesday, March 1, was sparsely attended, no doubt due in part to the unusual number of events co-occurring that day, there was still a lengthy agenda of items brought to the club’s attention. An item of note listed on the agenda was that the last spring meeting for Student Activity Foundation Funding will be held on Thursday, March 17 at 6 p.m. on the fourth floor of WAK. Sunday, March 20 – Green Bay Gamblers Game hosted by LC-CAB – 1 p.m. departure – sign up here for the Gambler event. On Friday, April 1 there will be a free outing to a Milwaukee Bucks game, hosted by LC-CAB. To sign up, click here. The Commuter Club meets on the first Tuesday of each month at 11:30 a.m. in the 1862 Lounge. For more information about the Commuter Club or any of the upcoming events, contact a Student Success and Engagement Coach.